We all do it, even though we know we shouldn’t. We skip breakfast as we rush out the door, telling ourselves we’ll grab something later, or be sure to eat breakfast tomorrow. The problem, of course, is that breakfast truly is the most important meal of the day, a well-worn cliche that happens to be very true. Each night, you fast as you sleep. To kick-start your metabolism, you need to “break your fast” and enjoy a healthy breakfast. Don’t believe us? A study from Harvard examined the connection between people who skipped meals and excess body weight, insulin resistance, and hypertension. Researchers found that eating breakfast was associated with a significantly lower risk of coronary heart disease. Men who skipped breakfast had a 27 per cent higher chance of having heart disease than those who ate breakfast regularly. So listen up, busy people: You may think you don’t have time for breakfast, but the truth is, you can’t afford to skip it. Here are some quick and easy breakfasts that will give you enough energy to tackle a busy day. 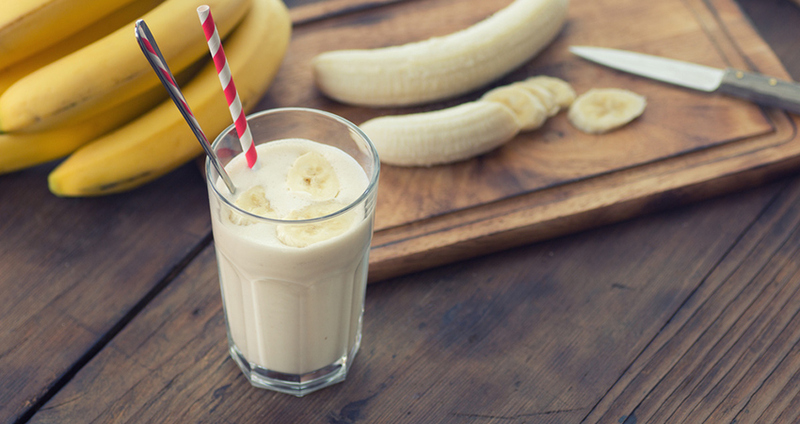 An easy grab-and-go option, protein shakes are the ultimate quick breakfast. Eating a high protein breakfast will help you feel fuller longer, so you don’t have to worry about getting hungry and stopping your busy day for a pre-lunch snack. Toss your ingredients in a blender and give it a whirl; you can pour your morning protein shake into a cup and take it with you without ever skipping a beat. 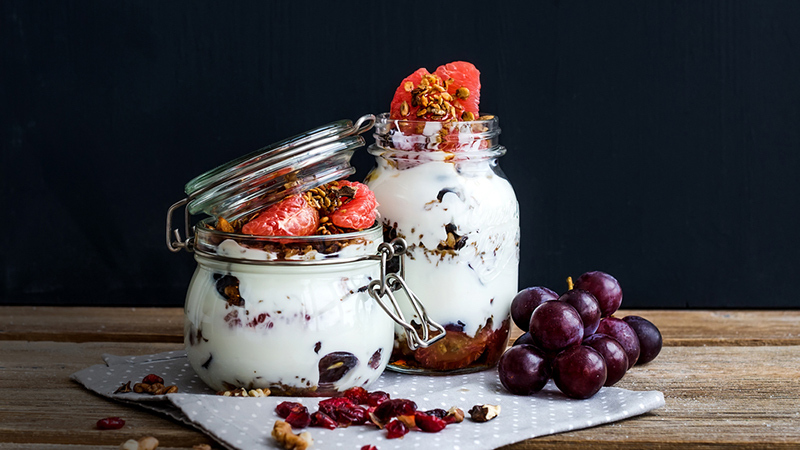 Try a yogurt parfait for a quick and easy breakfast option that can be made the night before. Fill a small mason jar or container ½ way with frozen or fresh fruit, and then top with plain or vanilla-flavored greek yogurt. Greek yogurt has more protein per serving than traditional yogurt. Throw some dry cereal or chopped nuts on top if you want to add a delightful, satisfying crunch to each bite. Tip: Read the labels on your yogurt carefully, some brands may have more added sugars than others. Love the idea of eggs for breakfast, but hate the time commitment (and dirty dishes) they require? Cook your eggs in the microwave, instead. Coffee cup eggs only require one dish: a microwave safe coffee cup spritzed with a bit of non-stick spray. You can crack your eggs directly into the cup, give them a little stir, and they will cook up light and fluffy in under two minutes. You can change up the flavor of your eggs by adding different ingredients such as spinach and tomatoes, ham and cheese, or even leftovers from last night’s dinner. If you love avocado, then you are in luck. 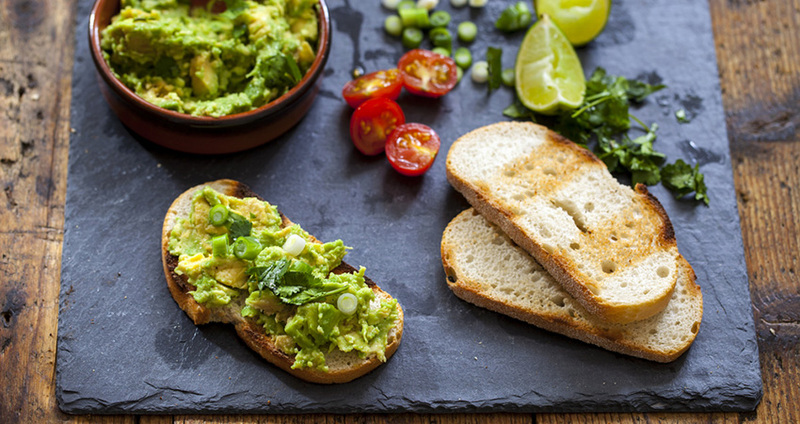 Because avocado toast is a tasty, flavorful and rich breakfast, and you get all of the nutritional benefits of an avocado to start your day. Lightly toast a slice of whole-grain bread, and then spread it with ½ of an avocado that has been smashed. If you like, top with an egg that has been scrambled or fried, and you have a meal that combines protein, good carbohydrates, and healthy fats to give your brain and body the boost it needs first thing in the morning. The best breakfast recipes are the ones that practically make themselves, like Overnight Oats. The night before, combine a few ingredients in a tupperware or glass container with a lid, and place them in the fridge. While you sleep, a magical transformation takes place as your oats “cook” themselves. In the morning, you can either quickly warm the batch up in the microwave for a warm, comforting breakfast, or enjoy your oats cold right from the fridge. 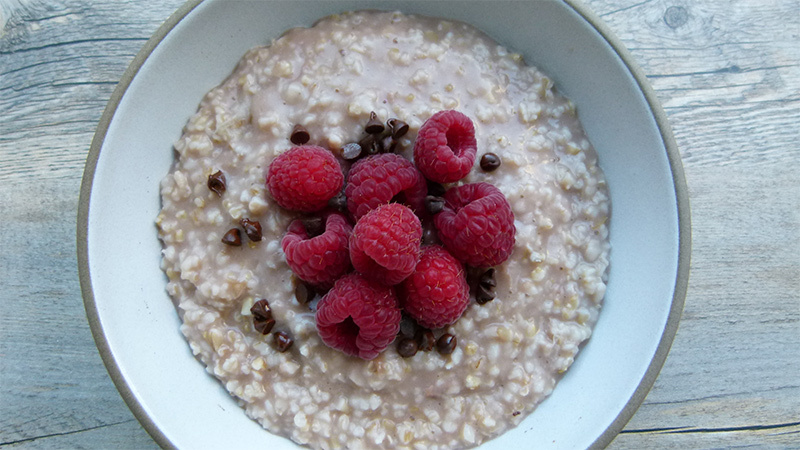 With so many overnight oat recipes available, you can have a different flavor each and every morning. These great ideas will inspire even the busiest people to get a quick and healthy breakfast in each morning. Breakfast doesn’t have to be complicated, and it certainly doesn’t have to come from a drive-thru window to accommodate your busy life and hectic schedule. A good breakfast will help keep you healthy, and give you the energy you need to tackle your day.